Starrcast & ALL IN Weekend Liveblog: Covering All 4 Days in Chicago! 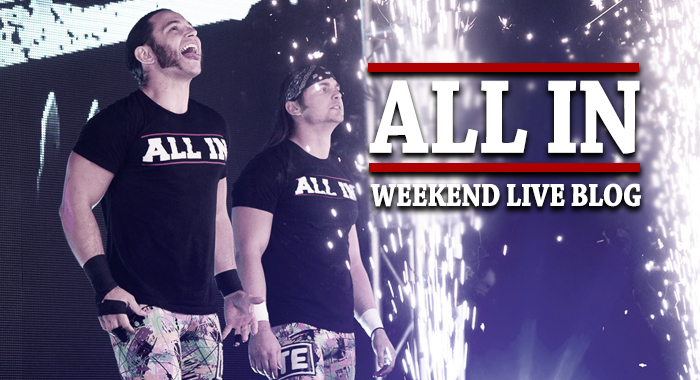 Welcome to Mike Killam’s ALL IN and Starrcast weekend live blog! Along with all our news updates, interviews, photos, videos and show flBilloor live streams (make sure to follow our ALL IN hub), we’ll be keeping this page up date with everything going on all weekend long. 11:15 PM — I got the chance to spend some time talking to the legendary Bill Apter, who is one of my biggest inspirations for doing what I do. When I told him this, he asked me my name, then in mid-sentence cut me off with, “It doesn’t matter what your name is!” So basically, it’s 2018 and I’ve peaked in my professional and personal life. It’s only down hill from here, folks! Bill, you’re a gentleman and a scholar. 11:00 PM – The Roast of Bruce Pritchard is, and I’m not being hyperbolic here, the funniest night in professional wrestling history. I’ve seen all my favorite comics live, but because this was wrestling-centric and nobody was afriad to REALLY go for the M-Rated blows, this was easily the most I’ve ever laughed. The roasting panel was Jeff Jarrett, Madusa, Eric Bischoff, Pat Patterson, Jerry Briscoe and Brutus Beefcake – that’s a hell of a collection of talent. Jerry Lawler made a special appearance, and they brought in a panel of actual comedians that each tore the house down. Amazing, amazing night. I would have paid hundreds of dollars to see this in retrospect. 7:30 PM — Just got back from the ALL IN press conference, which had easily the biggest crowd of the entire weekend so far. Cody Rhodes and Nick Aldis had an MMA-style weigh-in segment, and they brought out Marty Scurll, the Young Bucks, Hangman Page, etc. to promote all the big matches. Hangman did a spot where the crowd (I suspect they were plants) kept asking him about Joey Ryan, so he finally broke down and admitted to murdering him, which got a huge reaction. Kenny Omega was the surprise at the very end and he actually hung out for quite awhile and answered a lot of questions. So… @The_MJF told me "I'm gonna make you buy one of my shirts", then took my phone, sent $25 from my paypal to his, handed me a shirt and told me to get lost. I feel assaulted. Like I'm sort of mad about it, but I'm sort of in awe of how godly he is becoming at the same time. 1:00 PM — The hotel has a lunch buffet. I randomly ended up eating lunch with Oscar from the old WWF group Men on a Mission, then had drinks with Ryan Satin and the gang. 12:00 PM — Doug and I toured the entire vendor area in a very in-depth video you can check out right now on our Facebook page. 10:30 AM — HERE WE GO DAY TWO! Today is all about Starrcast. 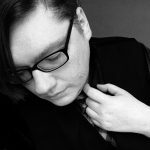 We’re going to be hanging out at some really interesting panels, live streaming like crazy… Let’s see what kind of trouble we can get into. 8:00 AM — After about three hours of restless “sleep” I was woken by the sounds of several dozen people chanting and woo-ing in the lobby of the hotel. Damn wrestling fans.